Four zones of Academic Staff Union of University (ASUU) on Friday staged a peaceful protest to Lagos State Government House, Alausa, to demand a visitation panel to Lagos State University (LASU). The four zones are Lagos, Akure, Ibadan and Benin. The protesters called for a halt to the work of the Appointment , Promotion and Disciplinary Panel set up by the university authority to probe three ASUU-LASU executive members for the alleged theft of a confidential document. Prof. Olusiji Sowande, ASUU Lagos zone Coordinator, said the protest was to ask Gov. Akinwunmi Ambode as the visitor to the university to send a visitation panel to LASU to investigate matters at the institution. Sowande said there was a need to probe the alleged backdating of the professorship appointment of the Vice -Chancellor of LASU, Prof. Olanrewaju Fagbohun, by the former Registrar, Mr Akinwunmi Lewis. ” The alleged backdate of professorship has an implication on the VC and if the governing council is handicapped to investigate it, then the visitor should send a panel to LASU to unravel the mess in the institution, ” he said. Dr Alex Odiyi, ASUU – Akure zone Coordinator and ASUU National representative, said the current management in LASU had embarked on a systematic rigid administration of ASUU-LASU. Odiyi called for the reinstatement of the erstwhile Chairman, Dr Isaac Oyewunmi, and his deputy, Dr Adebowale Adeyemi–Suenu, who were dismissed by the university in September, 2017 for demanding bribe from students. He also urged the government to stop the management from harassing and intimidating ASUU -LASU executive. 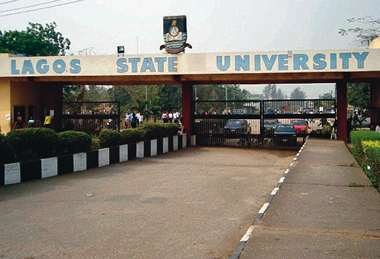 The ASUU scribe reiterated that the visitation panel was overdue to be sent to the university, as the last one that visited was nine years ago . He noted that the law of the institution stipulates visitation every five years. Odiyi also complained of the presence of armed security personnel on the university campus and called for an immediate withdrawal of the team. Responding, Mr Babatunde Oladeinde, Special Assistant to the Governor on Labour, said the government had directed that a meeting with representatives of the union leaders be scheduled for 1p.m. on Friday. Oladeinde said the meeting was scheduled following the receipt of the union’s protest letter by the government. “Our governor is friendly to unions and that is why his administration has not recorded any strike or protest action. “It is on the strength of this that a committee has met and scheduled a meeting with the union leaders for 1p.m. today after receiving your protest letter. “If the protest letter was received early enough we would have conveyed the information to the union leaders before now and there would not have been a need for the protest, ” he said. Mr Adeyemi Olabinjo, Special Adviser to the Governor on Civic Engagement, also appealed to the union to embrace peace and promised that necessary action would be taken. Dr Tony Dansu, ASUU-LASU Secretary, and Dr Adeolu Oyekan, Assistant Secretary, as well as Dr Oluwakemi Aboderin-sonibare of ASUU-LASU were accused of stealing and publishing an official document. They officials were also accused of making false assertions capable of bringing the university to disrepute. The accused persons are currently facing investigation by a panel which report is expected to be deliberated on by the University Council in October. The leaked document was on the promotion of Fagbohun to the rank of professor, allegedly backdated by Lewis from 2014 to 2007/2008.